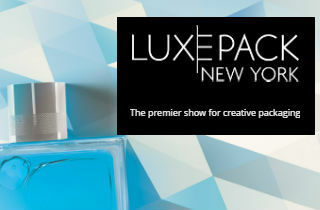 Dutch injection moulder, Aarts Plastics BV, a top quality moulder of standard and customized items with many years of experience in injection moulding is specialised in luxury packaging for cosmetics, packaging for food, pharmaceutical, medical and general packaging products. 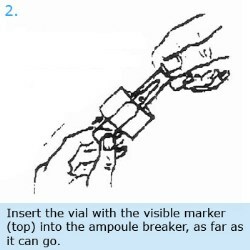 In conjunction with one of the company's clients, Aarts Plastics has developed an ampoule breaker for the medical market. 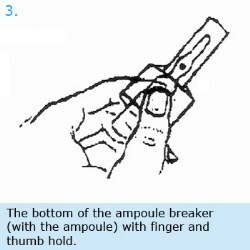 The ampoule breaker has been designed as a disposable product which can be used to open ampoules in a safe way, avoiding the finger injuries which occur when opening ampoules in the traditional way. 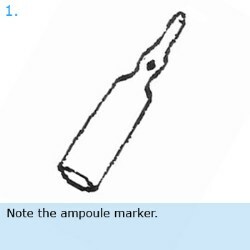 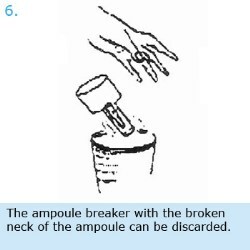 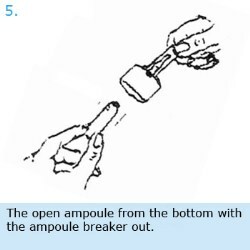 The original concept of the ampoule breaker was proposed several years ago. 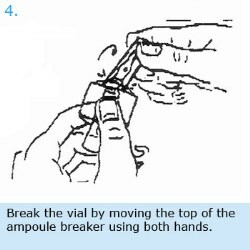 Following tests using a pilot mould and subsequent optimizations, the beaker is produced from a polyproplene material and the construction enables a use that is both easy and safe. 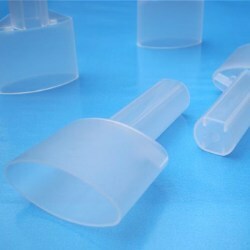 With a 16 cavity mould, Aarts Plastics have produced a product with a high output for the market.